Helena Wayne Huntress: Bronze Age JSA To Be Collected In Full This August! 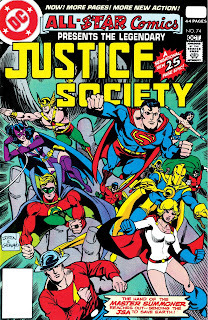 In August this year, DC will be releasing their entire Bronze Age Justice Society run from their All-Star Comics revival in the 1970s and brief appearance in Adventure Comics all in one volume! This is really exciting news for me because not only will I finally be able to relaunch my video blog with high quality scans (starting with Helena Wayne's official first story), but relaunching the video blog at the same time as this book's release would be a great way to promote the book for both new and old fans alike! Everything about this is win-win for me! My only complaint about the book's solicitation is DC once again ignoring the Huntress by not mentioning her, which is the marketing for Earth-2: Society all over again. While I completely respect the fact that a married Batman and Catwoman is not the jam for today's DC brass (even though I don't agree with their position), this toxic anti-BatCat marriage mentality still does not belong in the book that made Helena Wayne DC's breakout character in the 1970s. 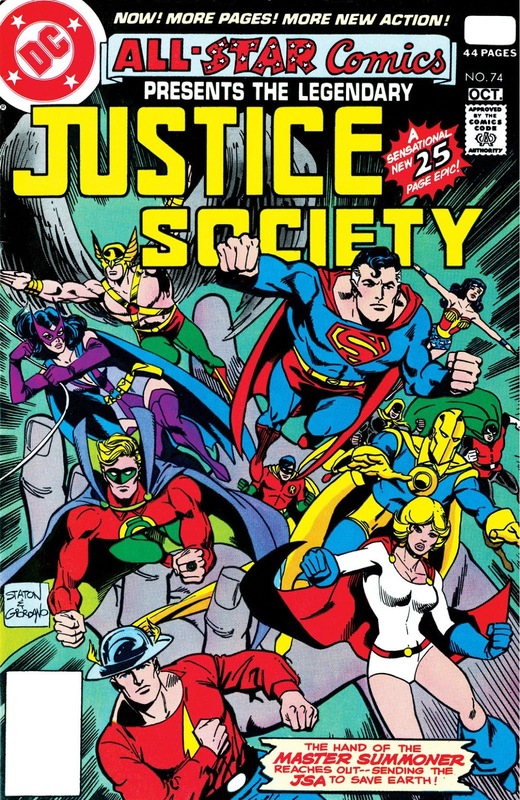 In the same way that I can respect DC not wanting to marry off the Batman and Catwoman of their main DC Earth for 'reasons', they could at least afford me the same courtesy by respecting the fact that Helena Wayne is a fan favourite character and a major selling point of DC's Bronze Age JSA. Given that this was the book that made Helena Wayne so popular with fans in the first place, DC owes it to both the character and her fans to actually promote her. When the physical book comes out in August, I would like to see DC break this disturbing pattern of erasure for Helena Wayne by actually featuring the Huntress on the cover and mentioning her in the book's description! I know I will definitely spend all the money on the world on this book, but I would like more people to do so as well! Remember this release date, folks! 28 August 2019!